Gray truly embodies the DIY philosophy one hundred percent. While being only 27, he already achivied a lot of goals in his career: snowboarder, enterpreneur with United Shapes and also mastermind and filmer of Warp Wave. All his creations features his unique touch and his forward thinking philosphy. Silvano Zeiter, longtime friend and lensmaster got us in touch with him, so here’s a little bit more of Gray Thompson. Hi Gray, it seems like you are quite a world traveller: which was your last trip? And which the most memorable one? I have been very fortunate to travel to some far corners of this planet in search of snow and last year was definitely a highlight. My last big expedition was to Northern Bolivia, into a very remote mountain range for about a month. It was a very powerful, eye-opening and amazing trip full of first descents, long hikes, bad weather and alpacas. We were able to summit and ride our objective peak of 6000 meters and come home in one piece. I have such fond memories of most trips but I would say that our time in the Indian Himalaya this past year was very memorable. Very little snowboarding went down but to be immersed in the various cultures of India was something I have learned a lot from and will hold strong memories of for a long time. You’ve just earned the Sequence Mag cover. How did you ended up in Switzerland and how did you get in touch with Silvano? First of all, I feel honored to be on the cover of Sequence magazine! Switzerland feels almost like a second home to me now, I absolutely love the country, mountains, snow and friends there. 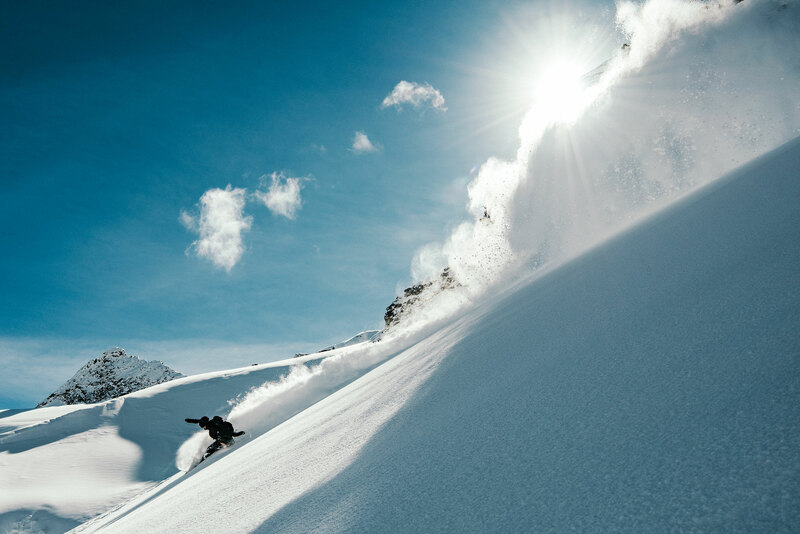 I’ve been lucky to spend a lot of time around Saas-Fee over the past couple of years riding with Fredi Kalbermatten and working on some projects for Holden Outerwear. Fredi and Silvano are good friends, they have been shooting together for a while and are from a similar area in Switzerland so I got to know Silvano through Fredi when I was in Switzerland. Silvano also shoots photos for Holden so we grew a relationship through that as well. He is not only one of the most talented photographers I’ve ever worked with but also a world-class, awesome human and a great friend. My last big expedition was to Northern Bolivia, into a very remote mountain range for about a month. It was a very powerful, eye-opening and amazing trip full of first descents, long hikes, bad weather and alpacas. United Shapes stood at the forefront of the latest snowboard business revolution: how did you come up with this idea and what will be the next step? Much like Warp Wave, United Shapes came into snowboarding during an important time and I think it helped steer things in a cool direction for snowboard business. The brand is doing well, we are growing around the globe and learning how to keep progressing every year. When we launched the brand in 2014, we were feeling so disconnected from snowboarding brands- everything from product to their story. From day one we did things our way, pretty much disregarding the standard snowboard business model and creating our own. 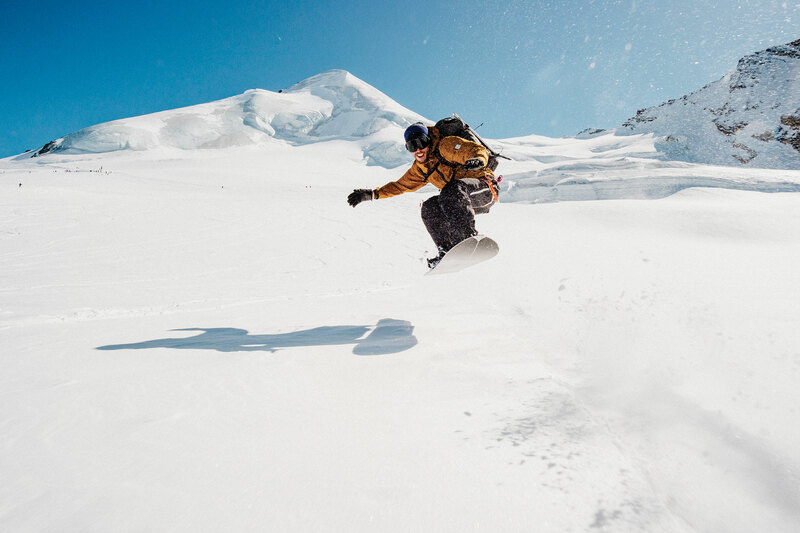 For United Shapes, the next step is to keep walking our own path, to always steer the brand in a direction that is true to our ideas, to open a larger space within snowboarding where we feel we have a voice and to build stronger relationships with those people that hear our voice. You’re quite a unique creature: despite your young age, you started almost from the beginning to shred, build and film. Tell us a bit about your background and your current projects. Since I started snowboarding at the age of 6 I knew I had discovered something special and from that point forward the entire course of my life was directed at snowboarding and being in the mountains. I grew up in the middle of the City in San Francisco and always felt out of place, but I was surrounded by such a rich and diverse culture, art and design. I guess I took a lot of inspiration from the city mentality of motivation and creation and have embedded that into my approach to snowboarding. Having an open mind to everything has kept me on my toes, learning new things, progressing, and refining. Learning new skills, creating and contributing to snowboarding whether that is through film and photography, riding, or creating brands. Currently I am grooving on exploratory snowboarding exploits, video projects, and running our snowboard brand United Shapes. Which are the main differences between the Swiss Alps and your Sierras? There are so many differences between the two mountain ranges, mainly that the scale of the Swiss Alps blows the Sierra away. Huge, towering peaks, glacier ice, and tram/resort access of the Swiss Alps is not something you find back home in the Sierra. We have amazing technical terrain and playful-surfy terrain here in the Sierra, but you have to access most of it on foot or snowmobile. Also, it is much harder in the Sierra to come down off the mountain and be greeted by a big cheese dinner than in the Alps! Warp Wave was a breath of fresh air: are you planning any sequel to Aurora Boardealis? Warp Wave has been a great learning experience for me. It was the first time Eric Messier and I had really created something with our own vision and ideas within snowboarding and shared it with the world. We are still blown away by how well people around the world responded to the project, and we feel honored to have contributed in a way that seems to have helped pushed snowboarding in a positive direction. Snowboarding is ever-evolving, and so are we, so we currently don’t have any plans for Warp Wave, in many ways we feel it has sailed its course for now, but you never know what the future may hold! Warp Wave has been a great learning experience for me. It was the first time Eric Messier and I had really created something with our own vision and ideas within snowboarding and shared it with the world.